Very classy knife and extremely ergonomic! 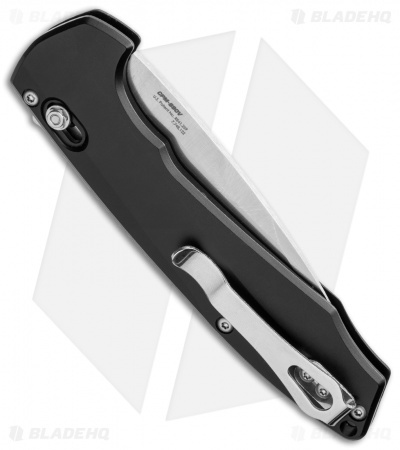 The assisted flipper is just plain fun to open. It’s so snappy it almost feels like an auto. Even with larger hands it fits very nicely with little to no hot spotting. The placement of the safety is very convenient and well thought out. It is my go to classy edc. 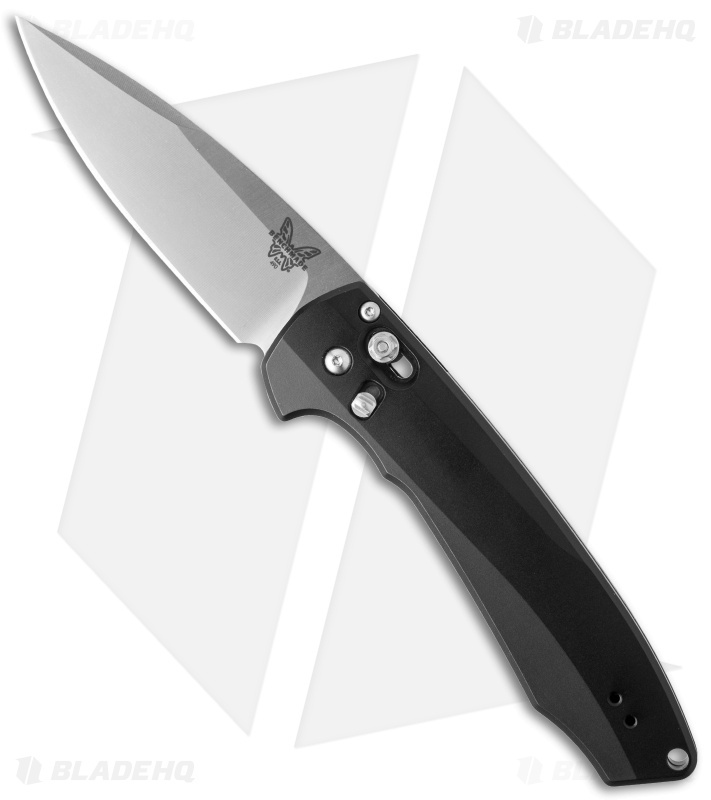 I love everything about this knife except one thing, well maybe two if you include the hefty price. :) The handle is somewhat slippery. I am considering trying something like talon grips on it but for now I can live with it since I don't really use it for dirty slippery work. I use one of my less expensive knives for that. - The finish is just too slick. The satin powdercoat just doesn’t have enough grip to it. I wish they’d done a blasted texture with a ano, a finish like Kershaw puts on the “Kershaw Link” would have been fantastic. ....this one might be going back. 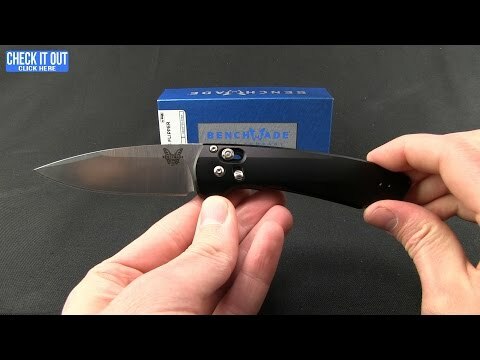 I reviewed this knife for a couple of months before I bought it. At first I was kind of disappointed. I started playing around with it. The flip assist at first I honestly didn't like almost returned it. I got a better feeling for it after continuously flipping and closing it. Got really comfortable with it love the grip. I'm super impressed with the weight, this is my EDC now. Keep grabbing my pocket keep forgetting I'm not carrying my Kershaw. It's a slick knife, a subtle knife with a cool factor with the flip assist, nice and crisp. Such a classy knife. Really good looking, and it has so many things going for it. I love the positive click you get from the safety. Blade shape is excellent. Pocket clip is beautiful. Centering is dead on. It does though have a couple issues. There is a tiny bit of blade play (not shaky, you have to hold the blade and forcefully move it in order to detect this) which I haven't gotten from Axis locks so far. Another issue is that if you try to deploy the knife while the safety is on, it moves so that the tip is exposed from the bottom of the handle. IMO if the safety is on you shouldn't be able to move the blade at all. The edge out of box also left some to be desired (and S90V is not easy to sharpen) but those are my only gripes. Overall I love the knife. My other "flippers" have taken a back seat to my 490 ARCANE. When I first picked up this knife I thought the flipper was too small! And then I flipped it open again and again and I simply fell in love with it. 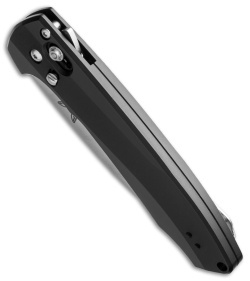 Benchmade had to spend a lot of time with cad-cam computer aided design and manufacturing to get the mechanism as precise as this. My other "flippers" have taken a back seat to my 490 ARCANE! I made one simple modification that you might find helpful. I installed a small piece of GT5000 GripTape to both sides of my knife just below the Axis lock which is where my thumb and finger pinch the knife while firing the flipper. Perfection! I like the knife, but I will say I have one complaint. I'll start with what I love though. It's like an automatic except it's legal where I live (California), because it's actually not, the combination of the axis lock, the assisted opening, and the spring assist make it very close though. It's the best steel I own, however it's hard to sharpen, as expected with s90v. However, when I first got it there was a wire that sort of acted like a spring that was loose when I got it, it fell out after many openings and closings and works fine, but when you put on the safety the blade has a little bit of free motion, it gets stopped after it the blade tip barely comes out. I attribute this to that spring thing, but I saw no other reviews of that anywhere, it's probably just exclusive to my knife, which is not really the quality I would expect from a benchmade, not to mention that on other sites people said that due to the hard steel, some of the blades come chipped, this didn't happen to me though. All in all, I like the knife, but I wouldn't trust that yours would come in perfect condition, they need to be manufactured better.